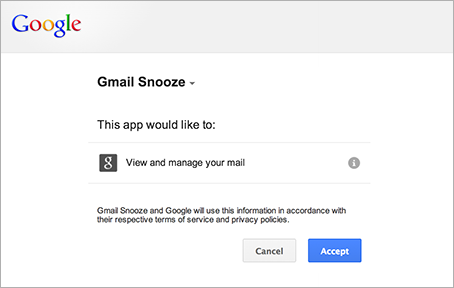 Apps Script determines the authorization scopes (like access your Google Sheets files or Gmail) automatically, based on a scan of the code. Code that is commented out can still generate an authorization request. If a script needs authorization, you'll see one of the authorization dialogs shown here when it is run. Scripts that you have previously authorized also ask for additional authorization if a code change adds new services. Scripts may not request authorization if you access the script as a web app that runs under the script owner's user identity. Warning: Web apps and other scripts that use sensitive scopes are subject to review by Google. Users attempting to authorize such apps may see a warning screen saying the app is unverified by Google. See OAuth client verification for details. Click the name of the script whose authorization you want to revoke, then click Remove on the right, then OK in the resulting dialog. An opposing annotation, @NotOnlyCurrentDoc, is available if your script includes a library that declares @OnlyCurrentDoc, but the master script actually requires access to more than the current file. Add-ons for Google Sheets, Docs, Slides, and Forms generally follow the same authorization model as scripts that are bound to a document. In certain circumstances, however, their onOpen(e) and onEdit(e) functions run in a no-authorization mode that presents some additional complications. For more information, see the guide to the add-on authorization lifecycle. 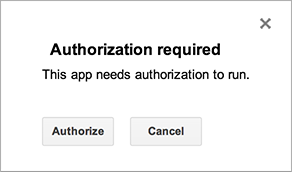 Applications that use OAuth to access Google user data, including Apps Script projects, are subject to authorization limits. See OAuth application user limits for details.